The second is that refiners must change their gasoline formulas in the spring to accommodate EPA air quality regulations, which pushes up prices every year at this time. Blame environmentalists for that. The third is increased demand, thanks to the growing economy here and abroad. Gasoline demand in the U.S. hit record levels in March, and AAA expects 5% more people traveling on Memorial weekend than last year. Memo to Democrats: That’s a good thing. Even so, prices today are still much lower than they were from 2011 to 2014, before accounting for inflation. And they are likely to subside by the fall as travel demand eases up. But what’s really rich is that Democrats are complaining about a temporary spike in gasoline prices after having spent years trying to force them up permanently. Where was Schumer’s concern about working families then? This is to say nothing of the Democrats’ endless drive to punish the oil industry either through windfall profits taxes or by stripping them of tax breaks available to other industries. Or their continued push to keep vast oil reserves off limits to drillers. 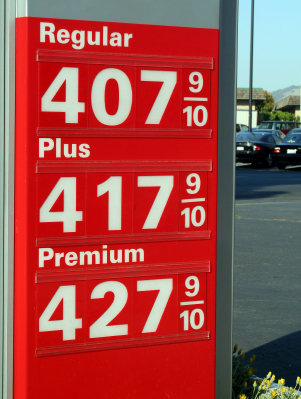 For Schumer and his fellow Democrats to now complain about high gasoline prices is, dare we say it, the height of hypocrisy and politics at its most craven.